Becoming a Bitcoin / Cryptocurrency affiliate is a wise move, especially as this niche is still in its infancy. It’s blowing up big time at the moment, so I thought I’d put together a guide on all the best bitcoin and crypto currency affiliate programs, from the best and most popular bitcoin exchanges in the world. People have been investing, mining, purchasing and earning Bitcoins since 2010. In addition to exchanging these cryptocurrencies, many companies offer affiliate-networking programs for making extra money. Joining bitcoin affiliates will give you the ability to generate a one time or lifetime passive income for each person you directly send to their website for registration or trading. The sites are paying for digital marketing for your referrals and you make money by sending customers to them. It is a win-win for everyone. Not only does referrals drive traffic to their site but also provides earnings to grow their company and brand. Once your referrals go to the websites to register or invest, you will earn money. Each company has a different referral program so below is listed each company and whether they offer one-time referral bonuses or a commission from lifetime sales. While one-time payments can be great, lifetime commission offers you incentives on every trade your referrals make in the future. Some of these companies even have a tiered referral program, which can land you a passive income for life. 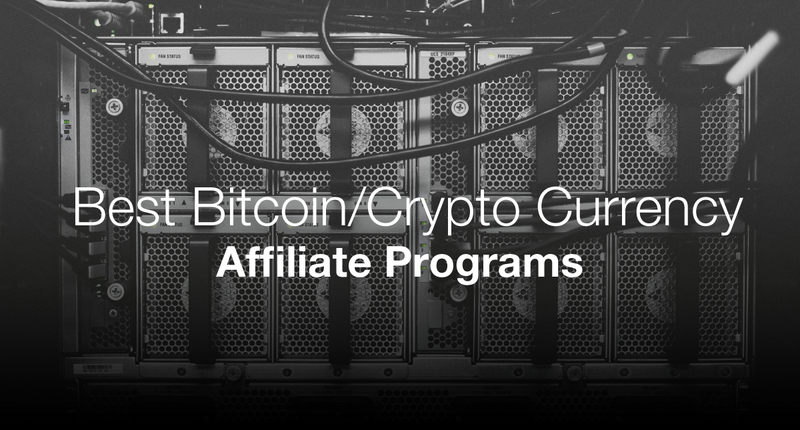 Below is a list of the best bitcoin affiliate programs. 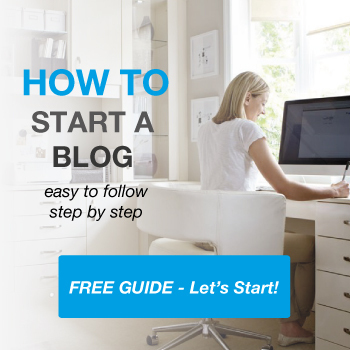 The first step is to sign up for the websites and give them your bitcoin or PayPal address. Once you are registered, they will assign you a unique URL or promo code. You can then start posting these on your website, in your email marketing campaigns or on social networking sites. Many of your referrals will come from your friends and family that are ready to join the bitcoin revolution so be sure to give them your links too. CEX.IO was the first cloud-mining provider and is one of the most popular exchanges on the internet for marginal trading. CEX.IO gives affiliate users 30% commission on all transactions. Commission from CEX.IO is for the lifetime of each referral. Given that this is a top marginal trading platform, most users trade and bet often. CEX.IO has many promotional tools available such as promo codes, referral links, and banners. They pay out every day, starting 30 days from the date that your referral incentive credits to your account. Changelly is another really decent exchange where users can exchange dollars for a wide range of cryptocurrency from bitcoin to dogecoin. It will search for the best exchange rate and then purchase them for you. Its basically an instant cryptocurrency exchange which has some of the best crypto-to-crypto rates on the market. The affiliate program is pretty cool as well, offering affiliates a 50% revenue share for the life of the customer you refer to them. They pay you 50% of the commission they earn on deals made by the user. How and when do they payout? They pay you in bitcoin and normally its the day after the transaction is made by your referred user. Coinbase is one of the top bitcoin processing services on the market. Coinbase offers $10 for each person you refer that buys or sells at least $100 or more within 180 days of registration. What makes this referral program so popular is that your referral will also receive $10. You can both expect the payment within four business days after the buy/sell. Even if your referral does not sign up the day they visit the site, they have ninety days from that to come back and join from the same computer. The referral does not have to purchase or sell the entire $100 at once. As long as this amount is exchanged within the 180 days after registration, you will both get your referral bonus. Coinbase is also set to add more crypto coins to their platform in the near future, ensuring that even more people will join their website. However, due to high transaction volume, there may be a delay in processing wire transfers with Coinbase at this time. This could cause a delay in receiving payment if your referral uses wire transfer for payment. LocalBitcoins is a person-to-person trading site for bitcoin. This platform allows users from many different countries to use their exchange platform. LocalBitcoins offers a 20% commission for your affiliates directly to your Local Bitcoins wallet. If you refer both a buyer and seller, you will get a commission from both referrals for 40% of the total transaction. This site pays daily directly into your LocalBitcoins wallet. The only limitation of this affiliate program is that the maximum commissions you will receive from each of your affiliates are three months. Bitbond is a bitcoin lender that will pay you for referring both borrowers and lenders to their site. You can earn up to 50% commission from this referral as well. Bitbond offers 20% of the original fee as your commission for every borrower you refer to their global network. You will also receive an additional 30% commission for every lender you refer using your affiliate link. You will also receive commissions for two years from the date of your referrals registration. Even if the referral does not register right away, they have three months to register once they have visited the site using your referral link. Once your referral has made a transaction, your referral payment is processed instantly. While this is a high commission rate, Bitbond will only pay for loan transactions that have completed. XCoins is another bitcoin lender that pays up to 50% to affiliates for referrals. This commission paid from this company is for the lifetime of each referral you send to their website. Their affiliate system has a tiered sub-affiliate incentive program as well. With XCoins, you not only receive payment for referrals but for their referrals too. This tier 2 level commission is 3% for the lifetime of their transactions as well. This could be very lucrative, as every referral you send them that takes part in the affiliate program is tiered to your affiliate list too. XCoins also accepts both credit cards and PayPal on their platform. Accepting PayPal is very popular with this bitcoin affiliate, as not all affiliates have adapted PayPal as a form of payment yet. XCoins also gives you a promo code for giving your referrals for easy tracking. When using this affiliate, keep in mind that they will only pay for loans that actually process and payout instantly to your xCoins wallet. Coinmama is an exchange allows users to purchase both bitcoin and Ethereum on their platform. This company offers you 15% commission on all of your referrals purchasing from their website using your personal referral link, including lifetime future purchases. They promise no limitations to the referral commissions you can earn by joining their affiliate network. In addition to your personal referral link, they also offer banners to place on your website. The payout from this website is monthly, toward the end of every month. However, you must have three successful orders made by at least three users to get a payout from Coinmama. Virwox is a virtual world exchange where people can buy Bitcoin with SLL ( the currency used in the game Second Life ). The affiliate program pays out 20% of the commission that Virwox receives from the people you refer. You will get paid a commission for the life of that particular user that signed with through your affiliate link, which is pretty cool! KeepKey is a new kid on the block when it comes to crypto hardware wallets. They are certainly giving Trezor and Ledger a good run for their money, with exceptional design and quality of their wallets. But they are a bit more expensive than their competitors. They are offering affiliates 10% of the sale cost of their wallets, plus if you refer other affiliates, you can take a slice of their earnings to the tune of 5%. So if the wallet costs $300, you will get $30 if you referred that user. If you referred an affiliate and they make a sale of $300, then you will receive $15. Pretty neat! Trezor is probably the most popular Bitcoin and Altcoin hardware wallets on the market today. The affiliate program offers their affiliates up to 10% commission and that’s paid in BTC. You will need to provide them with your Bitcoin address so that they can send you your monthly earnings. The commissions last for just the one sale. So if that user was to come back a few weeks later and buy another wallet, that sale would not count as a commission for you. Ledger wallet is a hardware wallet for storing your Bitcoin and Altcoins safely and securely. They are a big player in this market and give buyers a wide range of different models. They are offering their affiliates 15% commission on the net sale ( exclusing VAT and shipping costs ) which is the highest of all the hardware wallet affiliate schemes. They pay monthly and they pay you in BTC straight to your Bitcoin address, which you will need to provide them with when you sign up. Coinigy is one of the top trading platforms on the internet. This company allows users to trade on over 45 platforms from one place making it one of the most popular exchanges used worldwide. Coinigy offers $15 for each referral you send to their site that subscribes to use their platform. While this may be a one-time commission, Coinigy is one of the top trusted exchanges on the internet. Coinigy pays out on the 15th of each month so that you get a lump sum payment. They also have a referral dashboard that allows you to track your referrals. In order to use this affiliate, they do require that all users have a bitcoin address to receive payments for referrals. EXMO is a cryptocurrency exchange platform that pays a commission of 25% of every transaction that your referrals make. There is no limit to your commissions with the affiliate; they pay out this commission for every transaction your affiliate makes in their lifetime. You can use their website to keep track of your referrals and transfer funds to your wallet at any time. Exmo provides a referral link as well as a website banner for sharing on your website. They even allow you to add your referral link in your signature on the EXMO forum boards so that anyone landing on these pages can possibly view and use your referral when joining. Paxful offers lifetime earnings of 2% on every purchase that your referrals make. There are no restrictions or minimal referrals with this bitcoin affiliate. In addition to offering referral links, website banners, widgets and buttons Paxful also offer a Kiosk link and for you to share with anyone wanting to purchase bitcoin. Your bitcoin referral payments go directly into your Paxful wallet. Starting in January, they will be giving away thousands of dollars a month by starting a lottery bonus to the top three affiliates each month. The more referrals you send to them, the better your chances of gaining entries in this bonus program. The only downside to this company is they only pay the 2% referral commission for a year from your referrals first trade on their platform. BitMEX offers affiliate commissions in three tiers from 10-20%. Your referral must register within seven days of clicking your affiliate link. BITMEX sends payouts every day. In addition to your referral commission, your referral user also receives a 10% discount for six months from their registration date. This discount is appealing to anyone considering trading in the bitcoin exchange market. All referral payments from BitMEX go directly into your BitMEX wallet via bitcoin daily. Keep in mind that your affiliate will need to register within seven days for you to receive any referral bonuses for them registering. LakeBTC is a major worldwide bitcoin exchange that also provides online wallets. This affiliate pays out up to 30% lifetime commission on all of your referrals to their site. While your referrals do not have to purchase immediately, they do have a year from their registration date to make a purchase or exchange on the LakeBTC market. With this being a worldwide exchange, it increases your chances of getting more people to join their exchange as more currencies are involved in worldwide platforms. BitPanda is an exchange where users can buy and sell Bitcoin and other Altcoins with a credit card and PayPal, throughout Europe. They have been going a while and have built up a really good reputation in the market. They offer affiates a 2.50 EURO bonus for every Gold verified client and who then makes their first purchase. It’s certainly not setting the world alight with this affiliate scheme, but gives affiliates a monetization option for their European traffic. Payouts are instant and are earned one per customer. 247Exchange is a bitcoin exchange that allows users to purchase bitcoin with eleven different currencies. They offer a referral affiliate program with two levels of commission. You will earn 30% fee from your referrals for each transaction they make. Your referral link will generate a lifetime commission from each user you bring to this site. The second tier to this company promises an additional 30% from all the referrals your referral directs to the site. 247Echange pays all referral incentives monthly. The only limitation to this affiliate is that the minimum payment you can receive with 247Exchange is $1. SimpleFX is a mobile trading platform that offers a multi-level affiliate referral program. This company also offers marketing tools and an affiliate panel. This affiliate lets you earn up to 25% from your referrals and an additional 5% from everyone they refer. This affiliate program is lifetime and has no limits. You will always receive a commission for your referrals every time they make a purchase/sell on the SimpleFX platform. Promoting a product that has become not only a stock but a currency is a guaranteed income. Becoming a bitcoin affiliate is a sure way to generate extra income by revenue sharing with these companies, most of which have lifetime commissions. 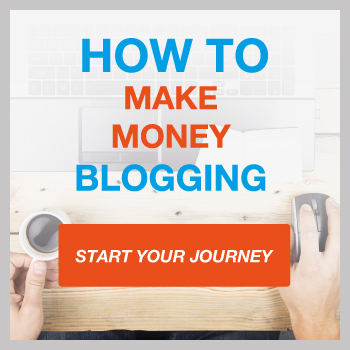 The more traffic you can generate to these sites, the more income you will make.